Iron Photo Frame adds beauty and elegance to your abode with its tree shaped pattern. Featuring superb finish and sturdiness, these frames are designed by using superlative grade iron ensuring excellent resistant to rust. With immense market knowledge, we have been able to provide optimum quality Sublimation Wrought Iron Photo Frame. With rich industry experience and knowledge, we are providing a wide assortment of Iron Frame. 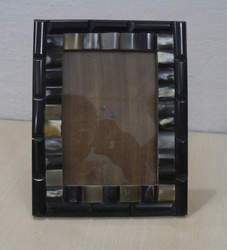 We have gained a remarkable position in the market that is involved in the offering Iron Photo Frame. Being a foremost organization in the industry, we are actively engaged in offering the best quality range of Photo Frame Iron Hook. - Suitable Photo size : W X H : 5.25 x 7.25 Inches approx.